A common idea I hear about Cognitive-Behavioural Therapy (CBT) is “It’s about just changing your thinking, right?”. Wrong. In an ideal world, thought surgery would be very useful. But the thoughts you’re aware of barely scratch the surface of your mind. For instance, if you’re feeling anxious about speaking in groups, you may think “I’ll do everything wrongly again” and “Everyone will laugh at me”. 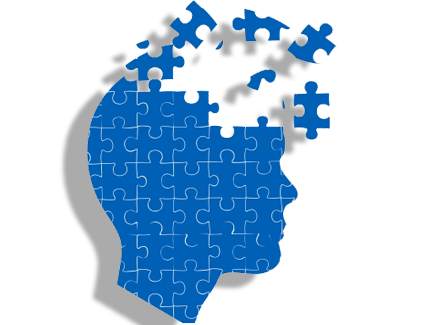 A good CBT therapist will help you understand the deeper layers of cognition that drive your automatic thoughts. Let me explain. When we dig a little deeper, we unearth our assumptions. Ideas like “If one person doesn’t pay attention, it means I’m really bad at this”, or “If I say something wrong, I have failed”. We’ve bought into these assumptions because of our experiences - the things that have happened to us and people we know. These assumptions have been tested and fortified over so long, that they form deeply-held core beliefs. Such beliefs are the deepest layer of cognitions, and may sound something like “I’m useless”, “I’m unworthy” and “I’m unlovable”. So much so that we forget about social dynamics - some people are distracted, rude, or don’t know etiquette. We don’t realise that we’re so busy worrying, we haven’t prepared for what to say - and so we feel awful when we don’t introduce ourselves as smoothly as somebody else. Or that we’re all human, and we make mistakes. 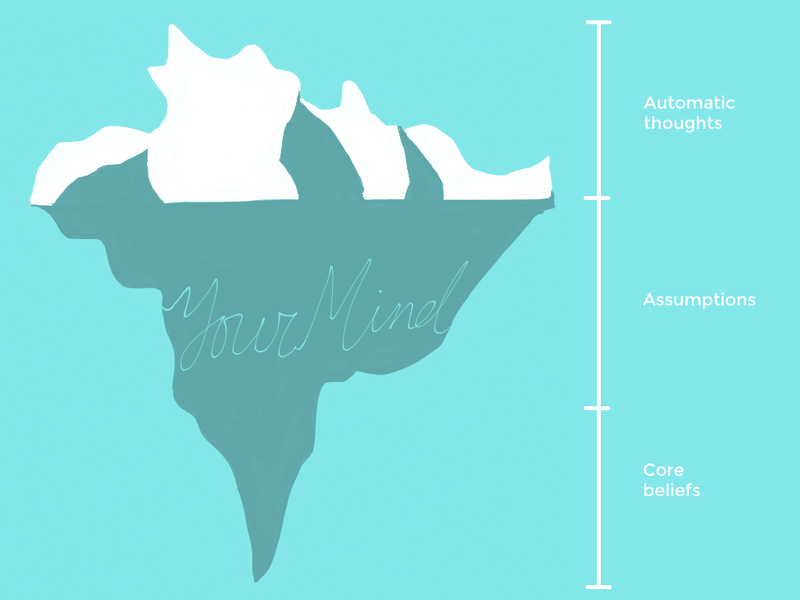 Your beliefs are the engine that drive your assumptions, and create the thoughts in your mind. These thoughts are linked to your body sensations, feelings and actions. A client may have a racing heart before the thought of speaking in a group, this creates unbearable anxiety, and she decides not to go. By avoiding the situation, she never proves her assumptions and beliefs wrong. And so the vicious cycle between body, feelings, actions and thoughts persists. Too often, we’re not aware that they’re separate steps in a cycle. And so we feel helpless. CBT puts these steps under a microscope to disentangle them, so we can slow down the automatic cycle, by working on one of the thought/feeling/body/action components. This way, we regain some control. For instance, a client may learn how to manage her emotions better, calm her body down, or to have an action plan on what to say. She can unpick her thoughts, and challenge them like the defence and prosecution teams in a court of law. And by doing experiments, she faces her fears, so she has an opportunity to prove her old assumptions and beliefs wrong. One last myth about CBT - “CBT is just about stopping negative cycles”. Wrong. Your thought/feeling/action/body cycle also applies to all the good things you do. When we’re wrapped up in feeling anxious, down or angry, we don’t see the positive things we’re doing. By creating an awareness of these positive cycles, we can build them into habits.